Alright, we have rounded up a good set of questions from earlier in the week, and are ready to give you our answers to the DL Q&A Sessions – Volume 18. Folks appear to be quite interested in Google’s plans for wearables, which we are also quite excited to see, so we discussed that. Questions about home automation were also asked frequently, so we wanted to touch on that as well. And naturally we have to talk a little football, given that we are so close to the big day. To find out what we geek out on besides mobile phones, and which ice cream flavors are our favorites, read on. As a reminder – K is Kellen, T is Tim, R is Ron, and E is Eric. Do you think Google will take a swing at the smart watch category? K: Yes, it’s only a matter of time. And not that I think Google would do it just because it’s the hot trend of the moment, but Google seems ready for wearables. Anything to put Google Search on you, whether that be through Glass or a smartwatch, they want. T: It wouldn’t surprise me. With Google snatching up companies like Nest, it wouldn’t surprise me if they decided to buy out Pebble while they are at it. Would give them a decent foot in the door, for sure. Then again, they have Motorola, and we could easily see something from them this year. With that said, I think I would be more interested in a smartband, more so than a watch. I’m digging the bands. R: I think Google is desperate to get into wearables. Google Glass is just the first step. I think Google recognizes that smartphones aren’t going to last forever and they want to be in front of whatever the next “personal computer” is. I also think we need to adjust our expectations for these types of devices. Smart watches and Glass aren’t the equivalent to smartphones yet; they can’t be. They need to get a lot smarter first. E: Of course they will. It will not only give them something else to push through Google Play, but just think of the amount of information that they can get from that watch if you opt into it. I think with their Google Now platform a smartwatch could be very well implemented. What are your favorite recent Android-related rumors? K: I think even though HTC seemed destined for ultimate failure at this point, the new One should be on everyone’s radar. I don’t necessarily care about the rumor from this morning that suggested the phone would have a “twin-sensor” camera, I’m just interested in what they are going to do from a design perspective. The One blew everyone’s mind in terms of build when it came out, something I don’t think any other OEM has yet matched. If they can somehow refine the body and feel of the new One to make it less bulky and less metallic than the original, I’d be on board. T: I am super stoked for Samsung’s Galaxy S5 offering. I just enjoy that the company’s phones easily last until the next year’s iteration, and you can always expect a great camera and performance experience. Besides that, whatever rumors are going around the for the next Moto X, I like those too. I just want some beast phones this year. R: I don’t really get excited about rumors anymore. For the past few years we’ve seen too many things get “leaked” that turned out to be nothing. Everyone thought the Moto X wouldn’t be a big deal based on what was leaked and once people actually saw it most realized it was the phone of the year. Rumors can be very deceiving. That said, I am excited to see what Motorola, HTC, and Samsung have for us this year. E: I’ve been scouring through Half Life 3 rumors for about 6 years now, so anything I hear on that front always piques my interest. That and L4D3. Valve please. For Verizon customers, which phone would you say is the true successor, coming from the lineage of the OG Droid to the Galaxy Nexus? 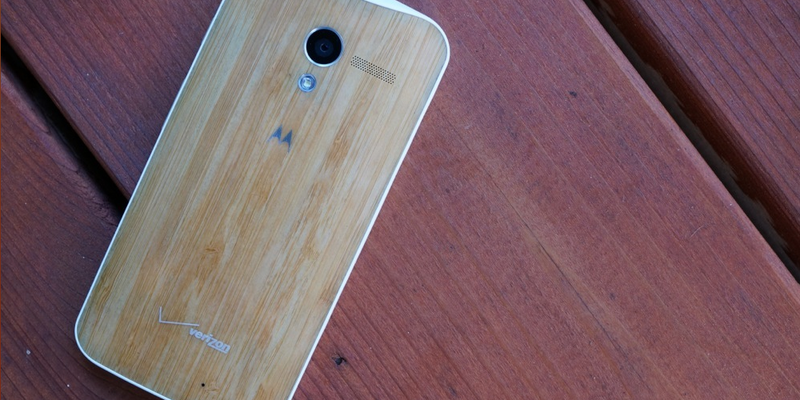 K: The Moto X is probably the closest since it runs almost-stock Android. It also seems to have a solid cult following around Droid Life that both of those phones had. T: That would have to be the Moto X. It just makes sense. R: Moto X is the true successor in my opinion. It has close to stock Android, gets fast updates, and you can customize the hardware. It’s better than any other Nexus device has been. E: Moto X has to be it. This all started with the OG Droid and then Motorola fell on hard times and then they come roaring back with this great phone that you can do a lot with. The story line doesn’t get any better than that. K: Uhhh, I can’t remember the last time I ate ice cream. I did have some grapefruit sorbet the other night, it wasn’t bad. 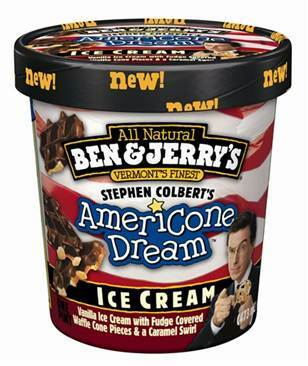 T: Ben & Jerry’s has a Wille Nelson’s Country Peach Cobbler flavor. It’s to die for. E: Back when I was a kid, cinnamon ice cream was amazing. Just get some plain vanilla ice cream and throw in a few dashes of cinnamon, stir it up and BAM. You’re welcome. How would you want to see Google innovate the home space? T: When I can be sitting downstairs on my couch and turn on my shower upstairs to get the hot water going, I’ll be happy. And while I’m upstairs in bed, I want to be able to turn on my gas fireplace in the living room to toast up the house. And I want it to be all one system I can work from my phone. Yeah, I know we have a few years to go, but that’s what I want. Complete home automation. R: I’m interested in how Google will use and build out Nest. I think Nest has a great line of products, but Google could take things further. I’d love to be able to lock and unlock the doors of my house with my phone. I would love to have a fridge connected with Google Now and Keep to remind me when products are going to expire or are running low. Google has sort of tried to connect our entertainment systems to Android, but I think they could do better. It’s all about removing barriers and helping people feel in control and safe with this sort of connectivity. The big issue will be making sure people don’t have to worry about someone being able to hack into their home or having to worry about Google monitoring your life to sell advertisements. That might mean Google will need a different way to make money. E: Of course Android being able to give you tips on how to make your home energy efficient and all that would be awesome, but I want a wireless solution for media that has Android at the center. Chromecast is a good start, but I want speakers and more hardware please. Besides mobile, what other technologies do you geek over? K: This is going to sound boring, but since I talk mobile tech all day, every day, when I unplug from this DL World my life moves to sports, working out, and my non-tech life. I could talk sports, beer, whiskey, food, running, restaurants, or clothing for hours, none of which is really all that techie. T: Besides mobile phones and video games, there is nothing too techie that I geek about. I like Nike shoes, fancy food, movies, watches, and photography. R: Mobile is really the only thing I geek about. I keep daydreaming about getting into film photography, but it’s an expensive hobby. E: Video games, cars and movies are my other big geek moments other than mobile technology. I’m literally always down to go see a movie. Who do you see going to the Super Bowl out of the last four teams left? K: Well, Seattle is going to throat punch the 49ers this weekend, just so they’ll shut the &$%* up for a second, then go “Beast Mode” on them to watch Jim Harbaugh’s pleated pants grumpy-face it out of CenturyLink Field. And this is me kissing my bicep, Kaepernick, tool. Sorry to Tim, but the 49ers are the biggest clown team in the NFL right now, which they solidified after actin’ a fool against the Panthers on every other play last weekend. Oh, and do work, Peyton. No one likes the Patriots. T: In the Super Bowl, I would like to see the 49ers go up against the Broncos. Both games will be really exciting to watch this weekend, so I am looking forward to it. As for Kellen’s comments above regarding the 49ers as “the biggest clown team in the NFL right now,” I think that is an extremely poor remark, especially from someone “rooting” for the Seahawks. I think both teams are young, talented, and very passionate, so it will be a great matchup on Sunday. I actually like the Seahawks as a team; they are fast, strong, and can undoubtedly beat any team they go up against while at home. With that said, I’d like to point out that every Seahawks fan I have ever met is completely illogical when it comes to sitting down and debating on certain topics within the game. For example, as we have seen in past games, the Niners have an uncanny way of being able to stop Seattle’s run game, while Seattle can’t seem to contain Kap’s legs or Frank Gore. In recent weeks, the 49ers have shown that they can go anywhere on the road and pull off a victory. Seattle will be the ultimate task for San Francisco and I think it’s completely within their doing. Keys to the game – Avoid turnovers, convert third downs, and stop Russell Wilson and Marshawn Lynch. Do those things, and you can pull it off. Arizona was able to beat the Seahawks recently at home, so don’t let all of the 12th-man hype get to your heads. This is Tato, reporting for DL Sports. R: The Owlcats versus the Human Beings. E: As long as it’s not the Patriots, I’m a happy man. What is your recommendation on headphones for your phone? K: By no means am I a headphone guy. I may have a dozen sets laying around here, but I tend to just go with whatever is comfortable in my ear. For working out, I have been using Jaybird Bluebuds X and really like them. On the DL Show, I use a pair of Jabra REVO Wireless on-ear headphones because they sent them over for a review. That said, they are super comfortable and put out what I’d consider to be decent all-around sound. For traveling, I actually use a pair of Apple EarPods…again, because they fit my ear well. T: Sadly, my favorite ear buds are those that come with the HTC One. They sound really nice. If buying a phone just for the ear buds doesn’t seem logical, I would recommend the House of Marley earbuds. R: I use Apple EarPods personally, but I’m still searching for something better. I prefer earphones over buds and I’d love to have something with a thin L shape connector. I’d also like them to be blue. The long and short of it is I’m sticking with EarPods until I find a product that I think doesn’t exist. Do any of you use NFC tags, and if so, for what? K: My desk has a couple, but I couldn’t even tell you what they are programmed for any more. I like the idea of them, but I’m a cave troll that rarely leaves home, so I don’t have the need to set settings off and on all of the time. T: I have a sticker on my desk that turns on my WiFi, but I never use it. E: I actually use the Motorola NFC tags that they shipped with the Moto X. I decided to start being safe and putting a PIN-lock on my phone, so I have three tags around the house that let me unlock the phone without doing anything. Very nifty.